Audiobooks.com has launched a new subscription model, based off of statistics that show that users read just one or two audiobooks per month. The new subscription allows you to pick one (yes, just one) of their thousands of audiobooks to read per month, for $14.95. If you’d like two per month, then there is a $22.95 a month plan. If you’re new, then you have the option for a free 7-day trial. For more information, you’ll find the press release below. TORONTO, Jan. 14, 2013 /PRNewswire/ — Audiobooks.com, a service that allows you to instantly stream and download audiobooks, announced today that the company is rolling out two audiobook subscription plans designed to provide audiobook fans with an affordable way to access great listens instantly, anywhere. For just $14.95 a month, members can choose a best-seller or classic favorite from more than 25,000 titles and listen to it on their smartphone, tablet or computer. For a monthly charge of only $22.95, Audiobooks.com members can listen to up to two audiobooks per month. These affordable subscription plans open up the world of audiobooks to new fans and veteran audiobook enthusiasts alike. Audiobooks are a great way for people with busy schedules to make time for new books and classic literature. Busy moms, commuters and others can listen to classics like The Hobbit and Les Miserables as well as contemporary best-sellers like Tina Fey ‘s Bossypants, theDivergent trilogy and thousands of other books, all compellingly narrated to put listeners in the middle of the story. Audiobooks.com delivers an affordable service that allows listeners to instantly stream and download audiobooks on virtually any web-enabled smartphone, tablet or PC. The company’s revolutionary cloudmark sync technology allows listeners to pick up where they left off in an audiobook across all devices without having to use a special browser plug-in or dedicated application, meaning they can listen at home on their PC and pick up the story at the gym on their smartphone without losing a second trying to find their place. 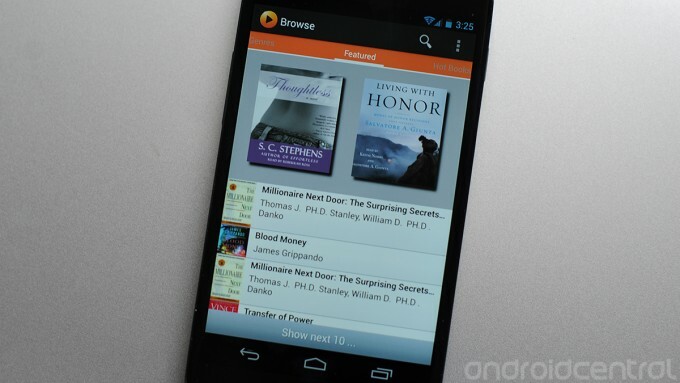 To introduce new customers to the wonderful world of audiobooks, Audiobooks.com is offering a free seven-day trial. Starting January 9, 2013, new customers can visit Audiobooks.com and sign up for the no-obligation test drive, which allows them to instantly stream or download any audiobook from the company’s vast library of titles, absolutely free. Audiobooks.com is confident that customers will love the convenience, fun and excitement of audiobooks and come back for more by choosing the right plan to fit their listening pace. The launch of the affordable new subscription plans coincides with the company’s one-year anniversary, underscoring Audiobooks.com’s commitment to continuous innovation to meet audiobook listeners’ needs. Learn more – or sign up for a free trial – at www.audiobooks.com.